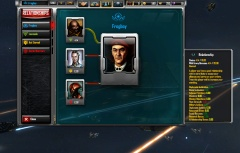 Diplomacy, Stardock's latest expansion to their popular 4X strategy game Sins of a Solar Empire, is slated to hit any day now. In anticipation of its release, the company has released a patch that fixes a few known issues with the original game as well as the other expansion pack, Entrenchment. Additionally, they've released a few more screenshots of Diplomacy that highlight some interesting new features of the expansion, including a new point system that's used for diplomatic relations, and new computer opponent difficulty levels. - Fixed AI not autocasting ultimates. - Fixed where the AI wouldn't start building anything until awhile after the game started. - Improved the AI's building in general. 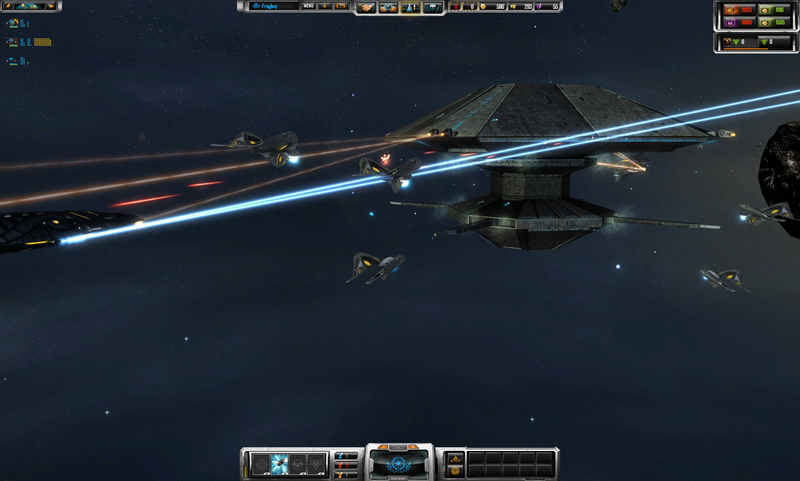 - Fixed bug where AI would incorrectly send an incomplete attack force. 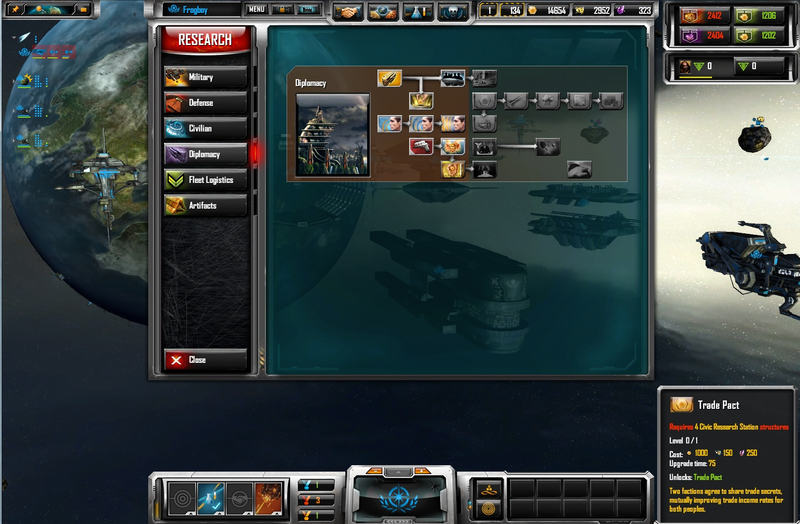 - Improved the AI's ship building selections. 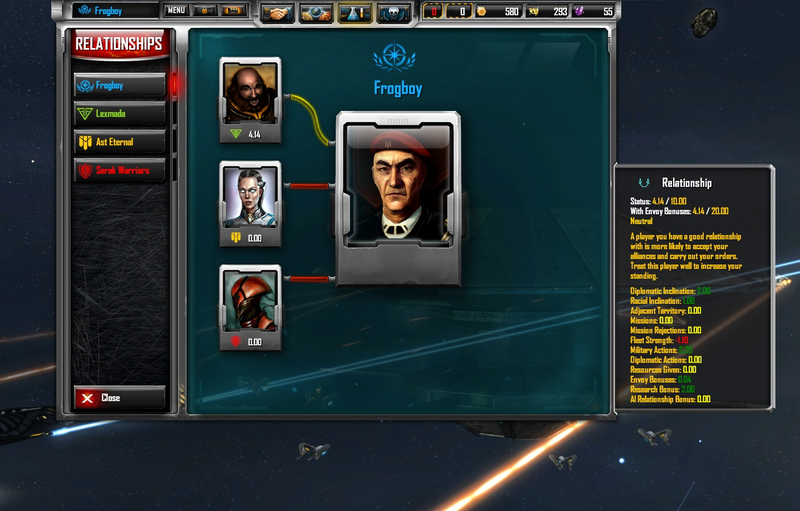 - Reduced the AI's building of siege frigates. - *Entrenchment Only* Improved the AI's building of minelayers. - Arcova scout frigate DPS reduced by 15%. 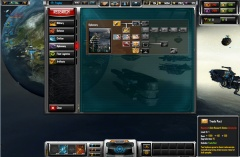 - Sova's Rapid Manufacturing ship and structure build rate bonus reduced from 300% to 250%. - Embargo can no longer cause a player to lose less money if their planet being affected by Embargo has negative income. - Fixed bad triangle on TEC Kol Battleship mesh. - Seeker Vessel DPS reduced by 20%. - Improved autocast condition for Antimatter Rechargers. - Fixed Illuminator damage bug (see above). - Jikara Navigator DPS reduced by 15%. - Ravastra Skirmisher DPS increased from 10.5 to 12. + Now spawns 1/2/3 squads per use instead of just one. + Antimatter cost changed from 50/40/30 to 50/50/50. + Cooldown changed from 40/30/20 to 35/35/35. - Fixed Phase Gates from not always behaving correctly. - Fixed Siege Turrets sometimes not firing at the planet. - *Entrenchment Only* Phasic Trap level 2 properly fixed. - *Entrenchment Only* Improved auto-cast condition for Nano Weapon Jammer. - *Entrenchment Only* Fixed erroneous effect for Jam Weapons. - *Entrenchment Only* Vasari mines reference their proper explosion effects. * Fixed disappearing particle effects / particle effects not appearing at all. * Infinite lifetime particle effects now die off if you aren't looking at them and resurrect when you are. * Lots of finite time effects have had their lifetimes decreased to something reasonable. * All travel particle effects are now infinite as intended. 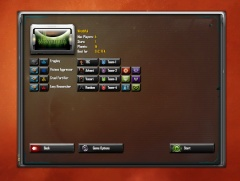 * All muzzle and hit effects are now finite and have reasonable lifetimes as intended. * Various particle effects that were incorrectly infinite are now finite and vice versa. * Deleted some obsolete particle effects. * Fixed bad triangle on TEC Kol Battleship mesh. * Fixed bad phase cannon shell textures. * Fixed flickering phase cannon shell. * Fixed erroneous effect for Jam Weapons. * *Entrenchment Only* Vasari mines reference their proper explosion effects. * Additional reference sanity checking for abilities and buffs to make it easier to debug new abilities at run-time. 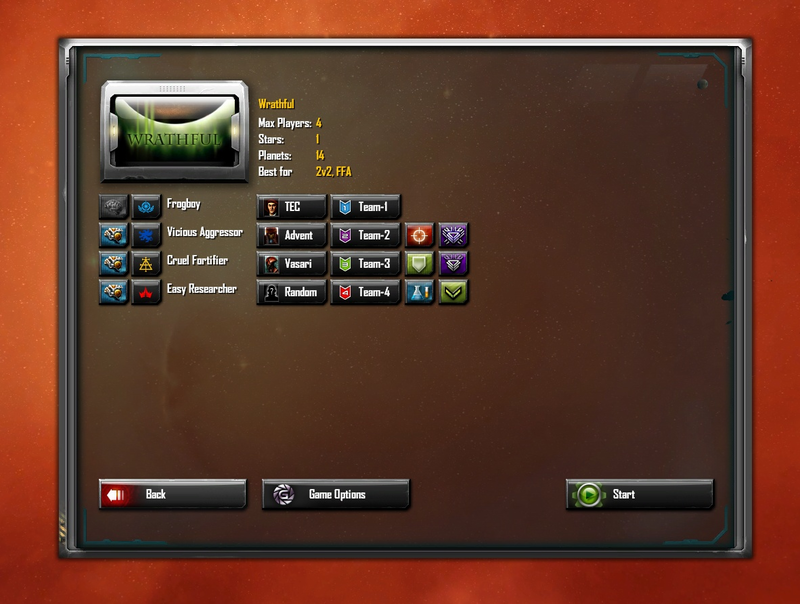 Abilities and buffs used by entities will output an error message if they specify a non-existant buff for creation. * Increased maximum number of meshes allowed (400->800). * Increased maximum number of textures allowed (1000->2000). * Warning - Just because the engine can now reference 800 meshes and 2000 textures doesn't mean there is more memory available. The overall limit is still 2 GB of RAM. Use at your own risk. * ConvertData is now statically linked to its dll's so there is no more conflict or erroneous conversions on some machines. One key point that's noted on the post is that these patch changes won't work with existing save games and will actually invalidate them altogether, which is rather unfortunate if you've got a long campaign going with a buddy. With Diplomacy set to be released later this month, however, starting a new co-op campaign may only have been a matter of time. Page created in 0.4767 seconds.